Before the information about the Congo want to be Thai-League in the 2018 season. Recently elected Germany has affirmed will not let his "pet" go. After Thai League BTC information allows clubs to register two South East Asian players to be posted, many of the prominent names of Vietnamese football are said to be going to Thailand. Recently, the star of U23 Vietnam, Cong Phuong has expressed willingness to your country to try.
" I want to go to the Thai League to play football, I can see the great fans every time I look at the stands in the match, it's great and different from Vietnam. Lan is good but overall everything is fine . " Cong Phuong shared after winning the U21 Thailand 2-1 in the M-150 . ค็องเฟือง กล่าวหลังเอาชนะไทย 2-1 ในศึก M150 Cup ว่า "ผมอยากมาเล่นไทยลีก เวลามองขึ้นไปบนอัฒจรรย์แล้วเห็นแฟนๆที่ยอดเยี่ยมทุกครั้งเลยซึ่งมันเยั่ยมมากและต่างจากที่เวียดนาม"
However, the Germans did not want to be so, although very surprised about this information, but the highest authority will definitely not let Cong Phuong go to Thailand: " I never let Cong Phuong to Thailand to play anywhere. They are rivals of Vietnam how can I allow my players to that competition. Moreover, reported Thailand know about the value of Phuong that valuation he? It will be difficult for the Congregation to vote for his "pet", especially when HAGL is determined to win the 2019 V-League under Chung Hae-jung. Because striker is a very important link in the play of the Mountain City team. 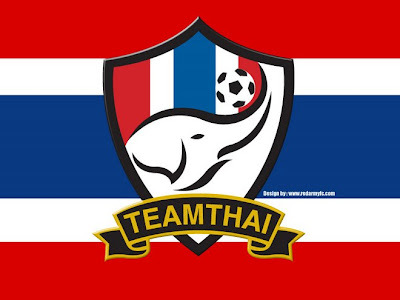 In addition to Cong Phuong, names like Xuan Truong, Van Quyet or Van Thanh are also believed to be associated with Thai teams. However, the decision to go to Thai-League competition is still a big question. แต่ ประธาน ด่องเหงียนดึ๊ก กลับไม่เห็นด้วย แม้ว่าเขาจะเซอร์ไพรซ์มากกับข่าวนี้ แต่ก็จะไม่ยอมปล่อยให้ค็องเฟืองไปไทยเด็ดขาด "ผมจะไม่มีทางปล่อยให้ค็องเฟืองไปเล่นในไทยแน่เพราะไทยเป็นคู่แข่งของเราแล้วจะให้ผมปล่อยนักเตะผมไปได้อย่างไร มากไปกว่านั้น ผู้สื่อข่าวไทย รู้เหรอว่าค่าตัวค็องเฟืองเท่าไร?